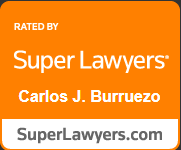 At Burruezo & Burruezo we help professionals who are starting a new business organize that business so that they are in compliance with employment laws. Issues such as pay rate, hours that can worked, categorization of employees and titles are all within our realm of expertise. We help people such as doctors, chief executives, lawyers, accountants, and other professionals understand non-compete agreements, contract employment agreements, benefit packages, and other terms of employment and compensation. We are available pre-employment, post-employment, and during employment for consultation and guidance.